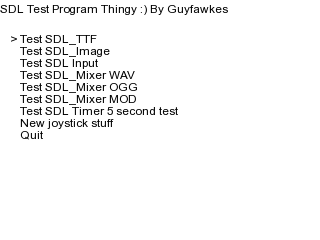 This is a little program that I originally wrote to test out some of the SDL functions and extra Libraries such as SDL_TTF, SDL_Image, SDL_Mixer to see if they are working correctly with my dev setup. 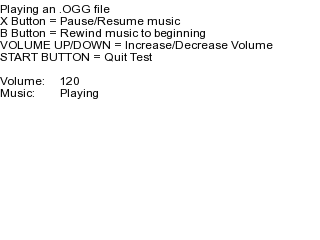 No idea if it will be of any use to people but it makes a nice little first program to compile and test your dev setup and also to maybe learn how to setup a program to run on the GP2X and PC. 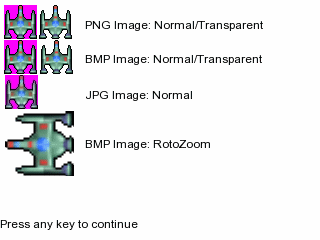 bug when compiling for GP2X? 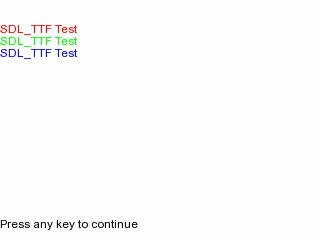 If you do want to test a certain function just comment out the functions code and it should run fine. Dont forget to copy the /sdltest/ folder to your SD Card otherwise it wont run correctly, I also added a .GPE if you just want to check it out without compiling.